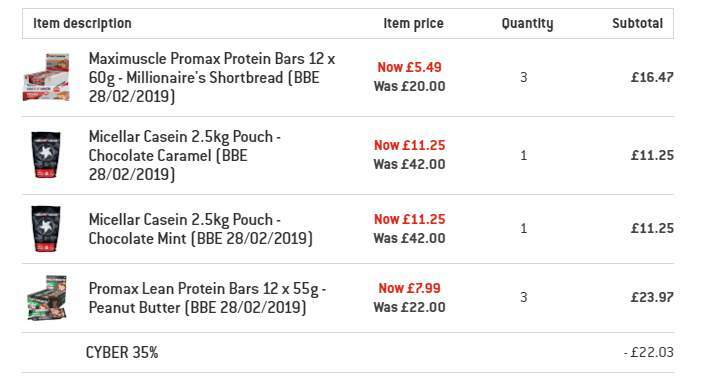 Just ordered some stuff from the Maxi Nutrition clearance sale. Cyber Monday code still working 'Cyber35' for extra discount. The casein in particular is great value. Be careful when ordering, my tubs all have 5 months till expiring. Last year's tubs had more than a year left on them. Something to consider. 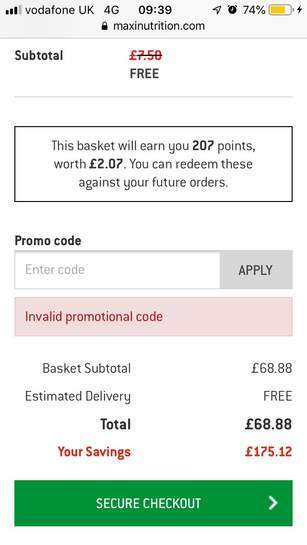 Do you have to spend a certain amount for the code to work? It looks like the code is not working because we have added items in the basket that is not part of the deal for that code. Decided to go with the shakes, besides if you buy 2, you get an extra one for free. This code worked Cyber30 but not the Cyber35. Heat! 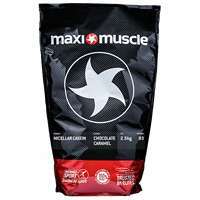 Brilliant 2,5kg casein for £11.25 inc delivery! What’s not to like?! Thanks for sharing, just placed an order. Decided to go with the shakes, besides if you buy 2, you get an extra one …Decided to go with the shakes, besides if you buy 2, you get an extra one for free. This code worked Cyber30 but not the Cyber35. Heat! Prices have increased since this morning, glad I didn't dilly dally! Deal posting newbie! This is Barcy99 first deal post. Help out by leaving a posting tip or just to show your appreciation for their contribution.